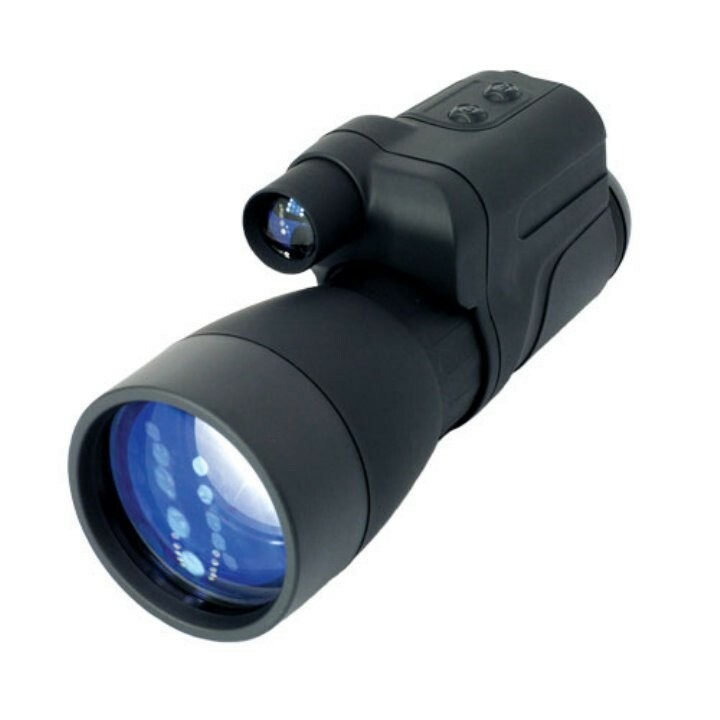 The Yukon NV 5x60 Night Vision monocular is remarkable for its high light-gathering capacity and stunning high power magnification that far surpasses the capabilities of standard night vision devices. Due to a the large optical diameter of the objective lens (60mm) and enhanced contrast transfer function, the images produced by the NV 5x60 are is bright and crisp with a resolution of around 40 lines/mm. 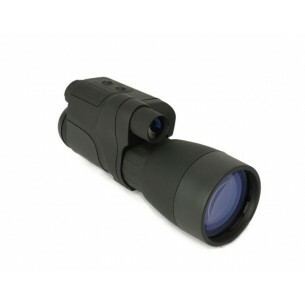 The figure of the visual magnification ─ 5 power ─ is one of the most impressive among gen.1 night vision devices. The housing of the unit is made of highly durable plastic. Efficient internal arrangement of parts and components contribute to an optimal weight-dimensions ratio. The NV 5x60 is equipped with a built-in IR illuminator for observing images in complete darkness and also when there are insufficient levels of natural illumination at night (to increase quality and range of observation). The NV 5x60 is also tripod adaptable, convenient for long-term observation.